Actors have always fascinated Yeo as subjects and he has painted many portraits of various performers throughout his career. The resulting images each deal with trying to get under the skin of his sitters and find out who they really are. 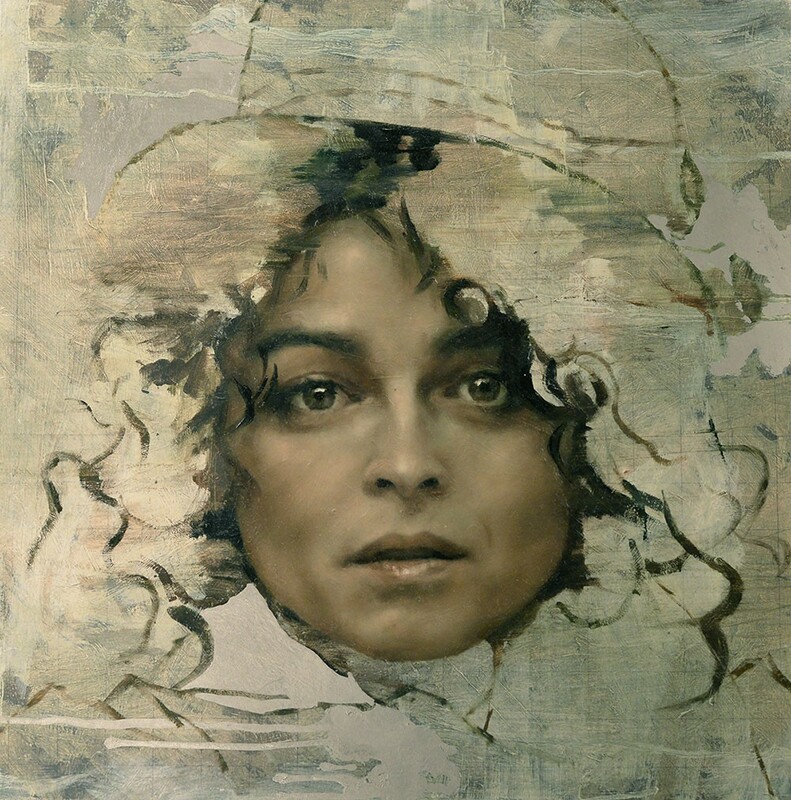 Yeo’s friendship with Helena Bonham Carter is clear in this portrait, as there is a tangible honesty and understanding between the artist and the sitter seen in its direct engagement with the viewer. Each print is hand finished with gold leaf. The painting was photographed with a Hasselblad HD5 50 mega pixel camera. The printing was done on Epson printers using Epson archival pigment inks with constant attention to any colour and texture discrepancies. Each print has been hand finished by varnishing in different parts of the image and with the application of gold leaf. Published in 2014. Recent developments in piezoelectric technology have resulted in increasingly high-resolution colour prints.